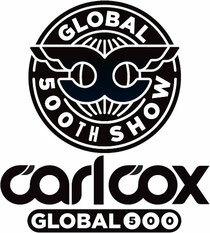 This year Carl Cox Global is celebrating its 500th consecutive broadcast and 10th year on air. To mark this milestone, Global will be broadcast live at the Amsterdam Dance Event (ADE Festival) as part of a special event sponsored by Awakenings & Safehouse Management at the infamous and iconic Gashouder. Broadcast weekly on many of the world’s leading FM, satellite and digital broadcasters to more than 14 million listeners in over 40 countries, Global is possibly the world’s fastest growing electronic music show. Now, Global fans from around the planet can tune in to the first LIVE Global broadcast ever on October 17 from 10:00 – 06:00 (UTC + 1 hour). 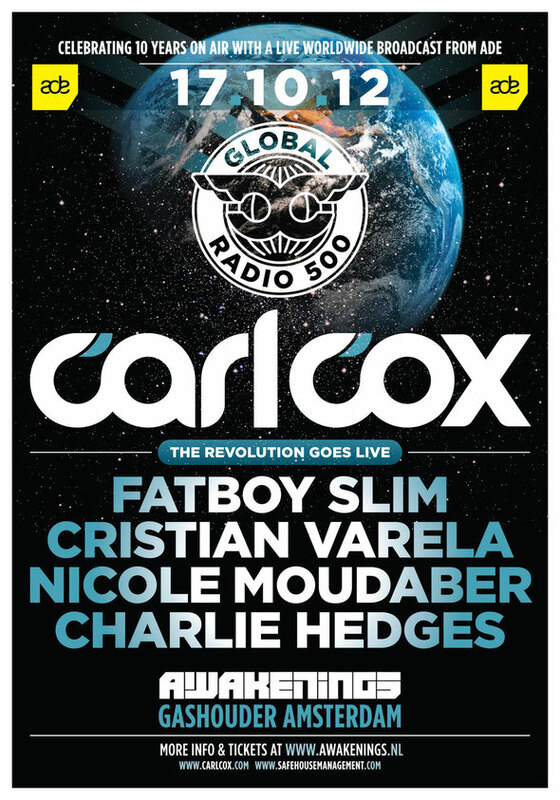 Joining Carl will be Fatboy Slim, together with DJ/producer Cristian Varela, Nicole Moudaber, and fast-rising new talent and KISS FM DJ, Charlie Hedges. ADE is the world's biggest dance music festival with hundreds of DJs and acts performing in Amsterdam's finest venues, cafés, record stores, lounges and art galleries. The Gashouder, situated in the heart of Amsterdam is one of Amsterdam’s most distinctive performance spaces, the renovated, late-19th-century Renaissance gasworks building has an impressive capacity of 3,500 and offers clubbers a unique, colosseum-like party space framed by wrought-iron walls and roofing. 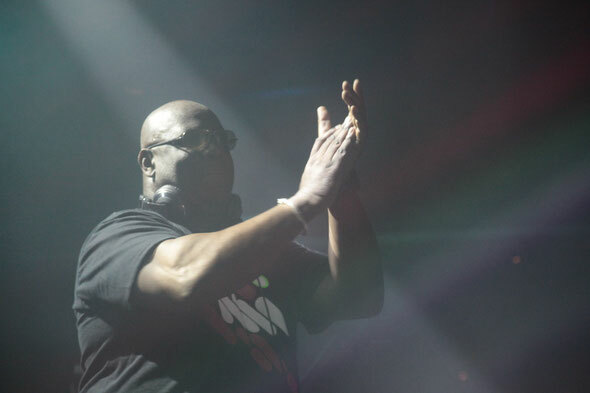 The event will be broadcast live via carlcox.com, Facebook and Mixcloud.